How much to feed a puppy is one of the first questions that most new owners have. 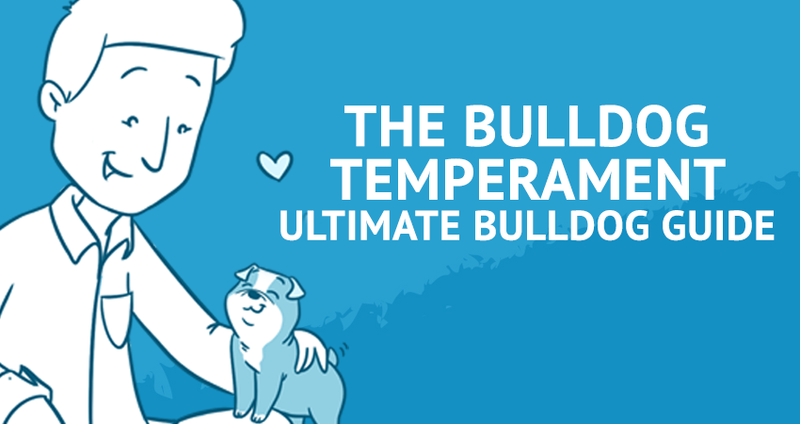 Getting your puppy’s diet just right is crucial, for obvious reasons. Protecting his or her health through that all-important growing phase helps build up their immunity, and ensure healthy development of their body. The foundation for things like strong bones and teeth, smooth body functions, and a healthy coat is laid as your puppy grows up on a regular, balanced diet. And being negligent and making mistakes during this period can have serious consequences serious later. 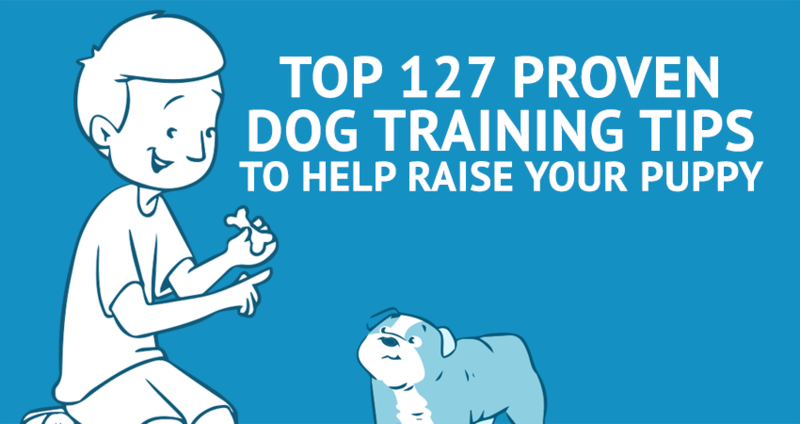 Besides, how much to feed a puppy isn’t the only thing to consider as you raise your new pal. Owners must also carefully consider what to feed a puppy, apart from things like the feeding schedule, and the manner in which they change their diets. Before we get into the question of how much to feed a puppy – which we will in a bit – there’s another pressing question. Getting the composition of your puppy’s diet is crucial to ensure that he gets all his nutritional requirements to stay fit and healthy. You have to make sure you increase and adjust his diet according to his changing needs as he grows and matures into an adult. 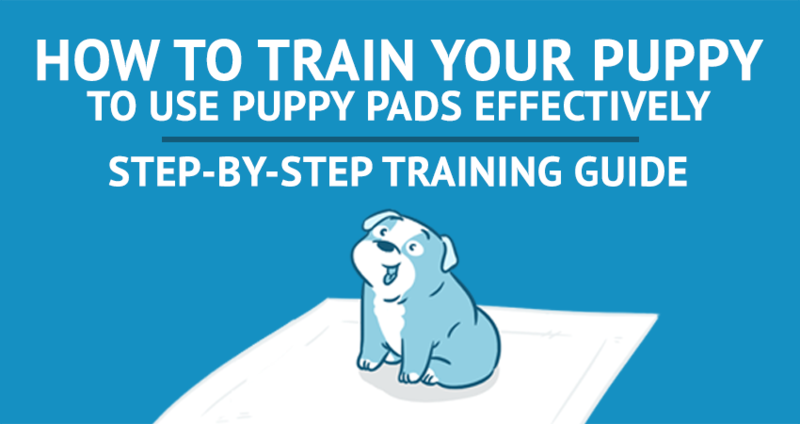 It’s important to realize that a puppy’s nutritional needs change drastically as he grows up. The needs of different breeds and sizes of dogs vary a lot, too. It’s crucial that your puppy nurses with his mother for the first 6-8 weeks or so. The mother’s milk provides all the essential nutrients, as well as antibodies that build up immunity. 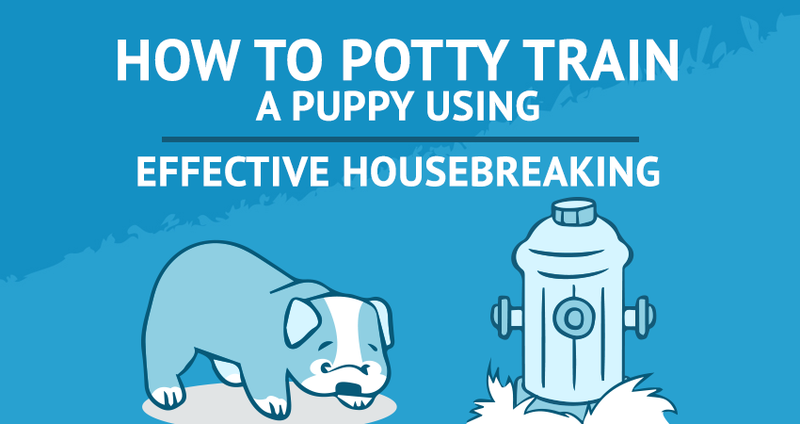 When weaning your puppy’s off his mother, don’t rush it! It should be gradual, over – say 2-3 weeks. A gruel that blends puppy food and milk is a great way of weaning your puppy off milk. You should start feeding the gruel at about 4-6 weeks of age, maybe, or as your vet suggests. Also, while weaning make sure to increase the portion of puppy food gradually relative to that of the milk over the weeks. 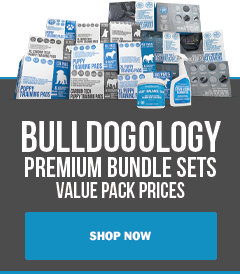 Take your time selecting the brand of dog food – and ideally in consultation with your vet. Ensure that it has the requisite amount of calories, protein as well as nutrients like calcium, etc, needed for growth. Avoid brands that contain ingredients other than quality meat as the primary ingredient. Things like corn and meat by-products don’t make for great nutrition. 2. How Much Should I Feed My Puppy? Well, again, there’s no straightforward answer. The most ideal thing you can do to determine the portion size and frequency of meals through the day is to consult your vet. 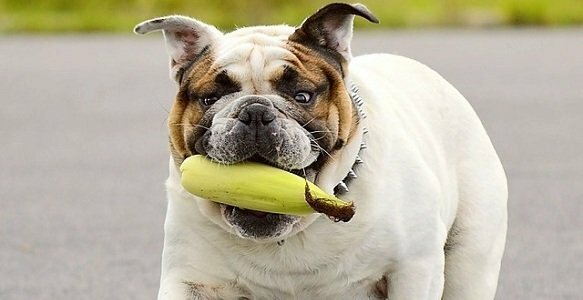 The nutritional requirements of different breeds – especially between smaller and larger breeds – could be vastly different. 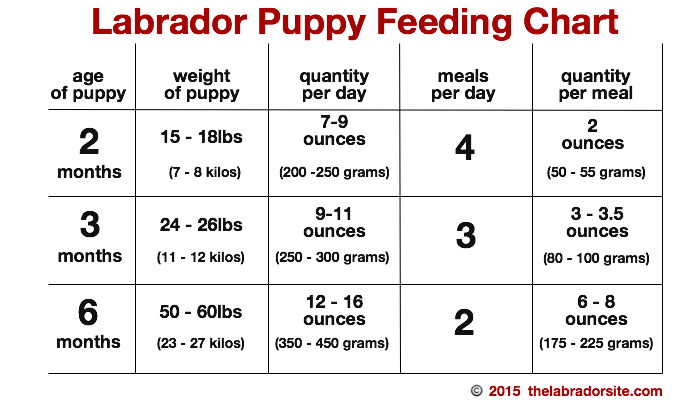 For instance the best dog food for labs – and their ideal feeding schedule as illustrated in this useful puppy feeding chart – will not suit a breed like an English Bulldog. Try to feed your puppy at least 3-4 times a day. Spacing out meals aids digestion and avoids overloading its tiny system. While following the instructions on the labels of dog food packaging isn’t a bad idea, remember that these are more like guidelines rather than rules. Your vet’s recommendation should be a priority. Once your puppy reaches maturity, and finishes growing, you may switch to 2-3 meals of a little larger portions. While you’re preoccupied with the question of how much to feed a puppy, you may well be neglecting some other things! Getting the quantity of portions right is important, of course. Snacks and very occasional table scraps are ok as long as they don’t mess with your puppy’s appetite and meal schedule. Sticking to the schedule as closely as possible, and being consistent with it day-in-day-out is crucial for healthy growth, as well as helping out with things like potty training. There are some simple ways to judge if you’re feeding your puppy too much or too little. For instance, this body scoring method gives you a good idea of your pups conditioning so you can adjust his diet accordingly. 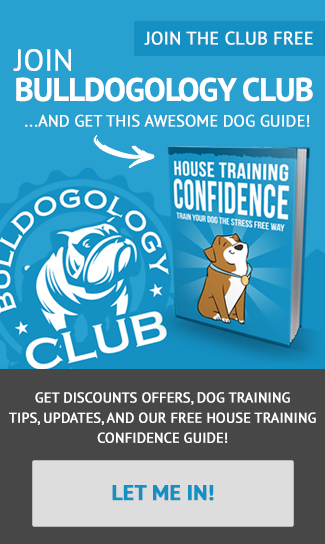 We hope you found these tips on how to design your puppy’s diet useful. 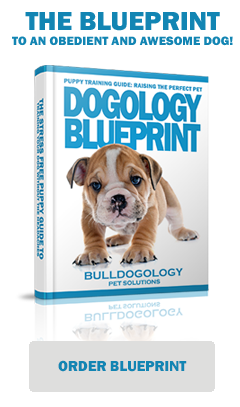 For more comprehensive tips and suggestions on how best to schedule meals for your puppy in tandem with his housebreaking, do check out the Dogology Blueprint, our puppy training guide available in our store now! If you have any other tips or suggestions of your own from your experiences with your dog, do let us know in the comments section below!